Most of the advice we get on reducing sexual violence stresses that WE have to prevent OUR own sexual assault. Have you ever heard or seen advice like: “Always cover your drink, “Use the ‘buddy system’ when going out with friends,” or “Never walk home alone at night”? 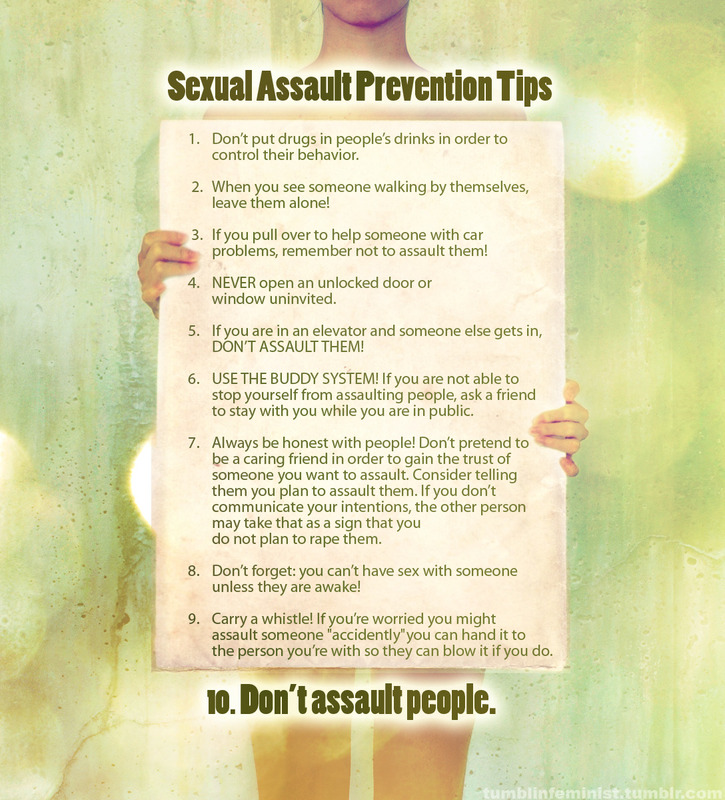 Tips like these represent a strong message to perpetrators, survivors, and anyone who has been or may be affected by sexual violence: No matter what the situation, sexual assault is always the perpetrator’s fault. A culture that embodies this message would support survivors and condemn perpetrators, and it is this kind of change that will actually end sexual violence.